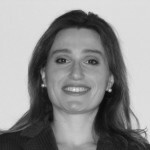 Lana Makhanik is the COO and Co-Founder of VUEMED. As its Chief Operations Officer, she is responsible for overseeing Implementation and Support Service teams and ensuring quality control in the execution and delivery of VUEMED’s services. Lana works closely with key customers and partners, including clinical, financial, and supply chain leaders. She has also been involved with industry-wide supply chain initiatives through such organizations as the Association for Healthcare Resource & Materials Management (AHRMM) and Strategic Marketplace Initiative (SMI). Prior to VUEMED, Lana was a Founding Partner at the medical market research and consulting firm Kieris Solutions for eight years, where she focused on process optimization, organizational mapping, customer values alignment, benchmarking, and best practices research. She has evaluated numerous technologies and product opportunities in the cardiovascular, urology, and gastroenterology fields of clinical practice, for clients such as Cordis (J&J), Bard, Boston Scientific, and Medtronic. She holds a B.S. in Cognitive Science from Wellesley College.